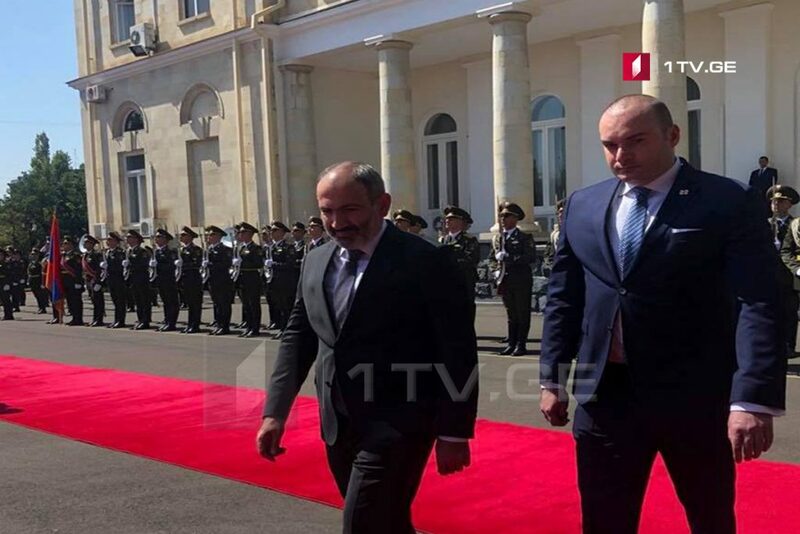 The official visit of Prime Minister of Georgia Mamuka Bakhtadze started in the Republic of Armenia. Zohrab Mnatsakanyan, Foreign Minister of Armenia met the head of Georgian Government at the Zvartnots International Airport. The official welcoming ceremony will be held at the Government Administration of the Republic of Armenia. In the sidelines of the visit Georgia’s PM will meet with Armenia’s Prime Minister Nikol Pashinyan. The meeting will be followed by extended negotiations. The PMs of the two countries are expected to come up with a statement for media representatives. Within the framework of the official visit, the Prime Minister of Georgia will hold meetings with Armenian President Armen Sarkissian and Armenian parliament speaker Ara Babloyan.